'Rock On' marked the right entry of films mad e on rock bands in India. Right from its story, performances, song presentation, music and direction, the movie excelled in every department. It also inspired many more film makers to make more films under this genre. 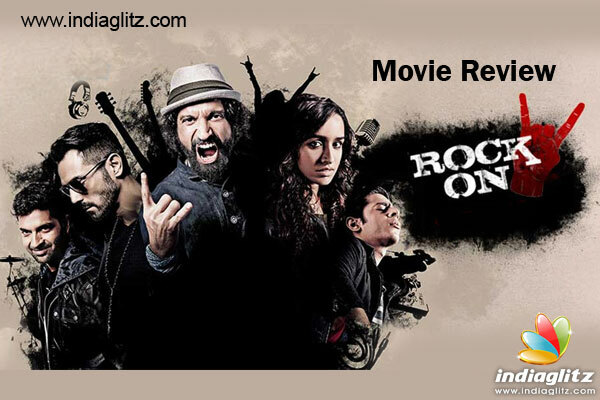 Barring few films none of them managed to come close to the brilliance of 'Rock On'.Thus, the expectation level went sky high as the sequel of 'Rock On' was announced. Addition of Shraddha Kapoor worked in the favour of the film in order to attract the young viewers. Sadly, the expectation level mellowed down due to lack of good chart buster songs in the film. 'Rock On 2', is a story of a musical band 'Magik' and its dispersed members. Joe (Arjun Rampal) is owner of a night club and a celebrity judge on a reality show. K.D (Purab Kohli) is composing music for various clients and Aditya (Farhan Akhtar) is leading a secluded life in hills of Meghalaya. Aditya is haunted by a horrifying past due to which he is staying away from his wife Sakshi (Prachi Desai) and working hard by forming a co-operative for farmers. 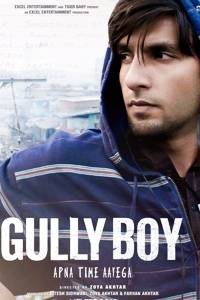 Aditya's hard work goes in vain due to a natural calamity in Meghalaya. 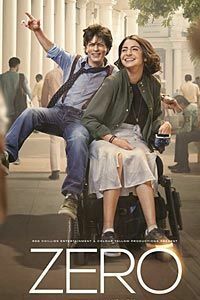 He returns back to Mumbai and out there hears a music track composed by Jiah (Shraddha Kapoor) and Uday (Shashank Arora). K.D motivates Joe and Aditya to perform with Jiah and Uday, but fate has a different story and things does not go as they were planned. The story starts on an interesting note but once established, moves on a snail pace. 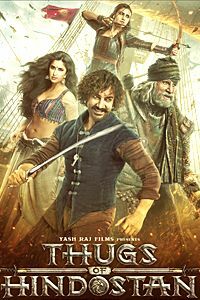 The first half still has some enjoyable moments like Farhan, Arjun and Purab arguing over their individual careers followed by audition of Shraddha Kapoor along with couple of scenes like brawl after the the Mumbai concert and Shraddha - Farhan at relief camp. Also, Luke Kenny's special appearance in the song 'You know what I mean' managed to give you goosebumps. 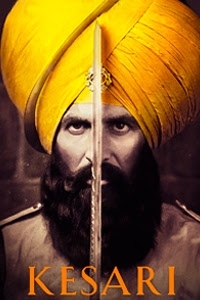 The cinematography is good and presents the movie in a decent manner. The rock concerts and performances are presented pretty well. Locations of Meghalaya were appealing. 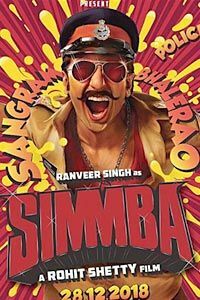 'Manzar Naya' is a sweet song which adds the freshness to this bland film. 'You Know What I Mean' and 'Jaago' are nostalgic. 'Ho Kiw' by various rock band looks good. 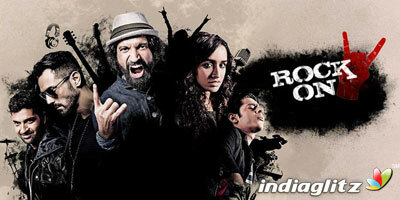 Farhan Akhtar is decent but, neither great nor excellent as he was in 'Rock On'. Shraddha Kapoor does her part with total grace but ends up being a victim of a half baked character. Arjun Rampal was fantastic in 'Rock On', out here his role has hardly anything to offer. Still he does his act in some scenes. Purab Kohli lends good support. Besides these minimal positive point, the movie is full of bland and boring moments. The narrative style is super slow and most of the tracks are predictable. The filler songs fail to work as additional screenplay like how it did in case of 'Rock On'. Several tracks are unwanted and fail to connect with the flow of the film. The forced hindrance track along with the finale concert takes away the crux factor from the film. Music was a major key element in the success of 'Rock On' but, sadly here, it fails to enhance the film. 'Rock On (Revisited)' fails to create the magic of its original track. 'Udja Re' in the end credits goes wasted. Director Shujaat Saudagar enters into the world of Hindi films after directing AD films for more than a decade. He manages to add an extension tale to the life of Magik group members but fails to enhance it. The movie ends up being a repentance drama between Farhan and Shraddha. The focus over other band members and their personal lives is hardly shown in the film. Almost every scene is dragged to the fullest and is presented in a slow manner. It's a huge opportunity loss for this film maker and all the fans of 'Rock On'. Shashank Arora, Kumud Mishra, Prachi Desai are wasted. Shahana Goswami ends up in a guest appearance. 'Rock On 2' is neither musically great nor does it have a gripping story to narrate. It’s just a bland music which has no existence.